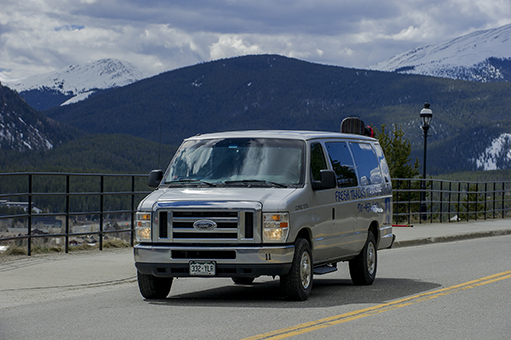 Fresh Tracks Transportation is now offering local on-call shuttle service in Breckenridge & Summit County. This service is available 24 hours a day, 7 days a week. 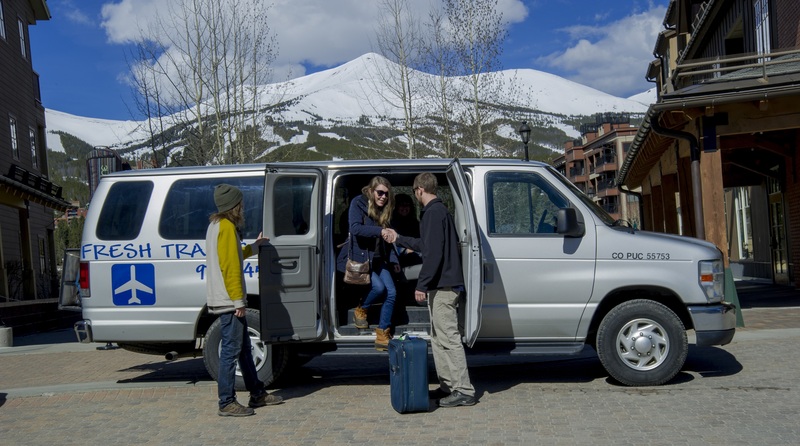 Our local Breckenridge shuttle is designed for guests who need to travel within Breckenridge or from Breckenridge to any other location in Summit County including Keystone, Copper Mountain, A Basin, Frisco, Dillon & Silverthrone. Our helpful, friendly drivers are very familiar with the area, so whether you’re a businessperson going to work or a visitor who wants to see all the attractions that Breckenridge & Summit County has to offer, we can handle all your travel needs. Wherever you need to go, Fresh Tracks Transportation’s Local Shuttle is ready to take you there, day or night. With Breckenridge’s largest fleet, we can service all of Summit County. Every day, we pick people up and drop them off all over the mountains – at their homes and offices, at restaurants, shopping malls and grocery stores, at the airport, and many other destinations. Enjoy a night out on town and leave the driving to us. We serve all hospital and medical facilities in the Summit County area. Whether you have a doctors appointment or just visiting a friend or family member, Fresh Tracks Transportation’s local shuttle can take you there. Fresh Tracks Transportation’s Local Shuttle provides services to CMC campuses in Breckenridge & Dillon with safe rides to students 24/7 for errands, work, late night studying, or nighttime entertainment in Summit County.